New Castle Mortgage is a major producer of Reverse Mortgage loans in Tennessee, owned and operated by Tennesseans, purely specializing in Reverse Mortgages. As a consumer you can be certain we are credible, qualified, and experienced. Our partners, Mike Holton and Catherine Holton, each have over 20 years’ experience originating FHA loans throughout the state of Tennessee. Our office is in Nashville, TN. We also have a long-time presence in both Knoxville and The Tri Cities areas. We are a “boots on the ground” organization and can effectively cover most all areas of Tennessee. We have a highly experienced Loan Origination staff. 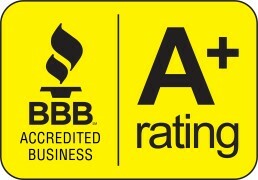 We are a State licensed facility and are members of NRMLA (National Reverse Mortgage Lenders Association) and the BBB (Better Business Bureau). Our Nashville office has plenty of free parking and is conveniently located on 21st avenue in the Green Hills area of Nashville, TN. We meet most of our customers in person. They enjoy the convenience of being able to meet their Reverse Mortgage specialist face to face. This not only aids in the communication process, but also enables our customers to get to know the person they will be working with. The answers to your questions are just a call away. To speak directly with a Reverse Mortgage Specialist simply call anytime or feel free to utilize any of the interactive tools offered throughout the site. Contact us today with your questions on how the Reverse Mortgage loan might work for you. You are always welcome to visit us at our office or we will be happy to meet with you in your own home.